Inga was born on 20th April 2014. – Easter Sunday. Labour has started when game Norwich – Liverpool just finished with result 2:3 (week later S. Gerard has slipped in the game against Chelsea what costs Liverpool championship that year…). In hospital’s chapel we have heard people singing that it is a happy day for all of humanity. At least it was very happy day for us! After 3 days spent in hospital girls came home. 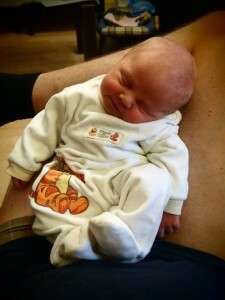 And the “party” begun – sleep, feed, buggy walk, sleep, feed etc… Although it was a hard time for us Inga granted us with her beauty and “sweetness”. 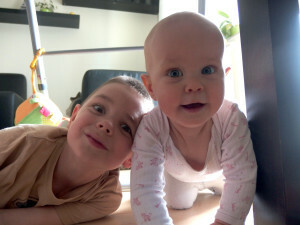 In Novermber, when Inga was seven months old, we start to worry she was crawling on her elbows instead of hands and knees. Additionally, she was doing that asymmetrically. We’ve started to visits doctors, specialists, physiotherapists. She was diagnosed with motor asymmetry. 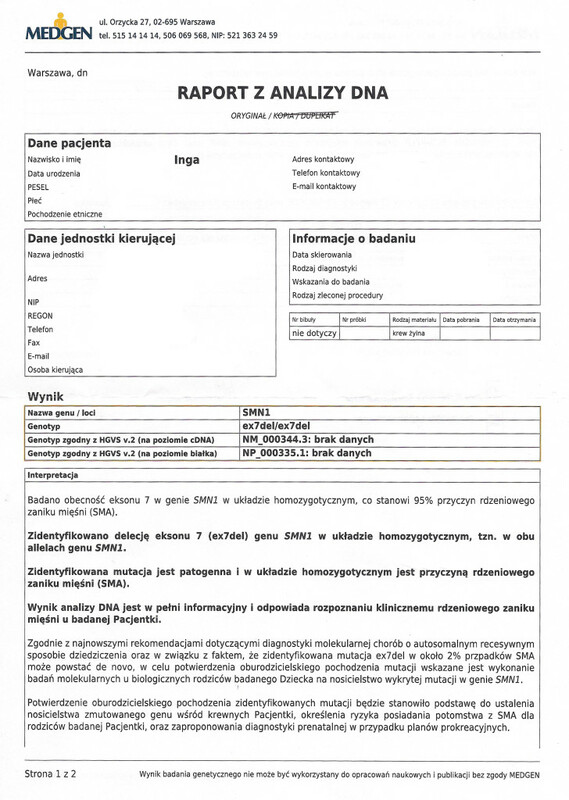 We have been doing physiotherapy since January using Bobath and Vojta method. 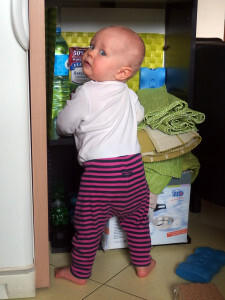 And we’ve succeeded: in the age of 10 months (Feb 2015) Inga started to crawl high and 2 months later, just before her 1st birthday, she stood up holding furnitures. Everything seemed to go in the right direction. She started to walk holding chairs and tables. 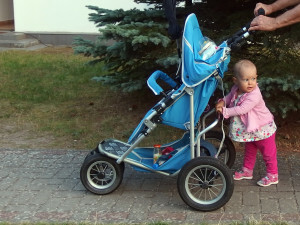 In the summer, when she was 15 months old, she was able to walk 100 metres holding her buggy. It has turned out that it was Inga’s biggest achievement. There were no motor progress since Sept 2015. 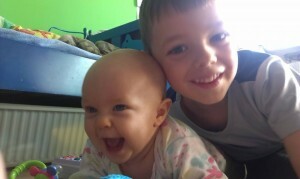 According to doctors advice we have focused ourselves on physiotherapy and exercises. Additionally we have started to visiting many different doctors and specialists – mostly children neurologists – to find out what is the cause of Inga’s motor delay. Finnaly in December we came down to specialist in Warsaw who suspected for the first time Inga’s got SMA – spinal muscular atrophy. It was first time ever we have heard about this disease. Its name was frightening itself. 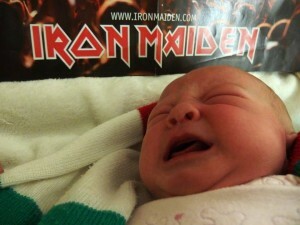 We’ve checked what is written about SMA in Interent – we have been terrified. 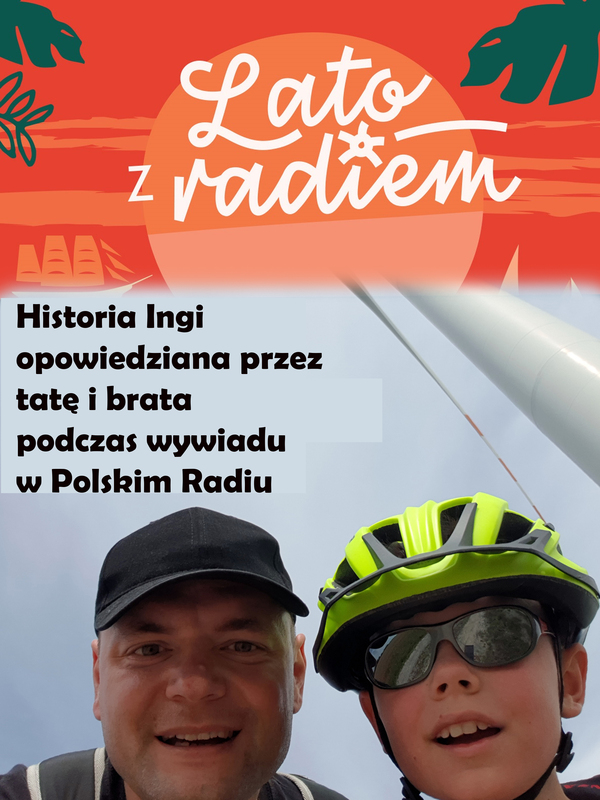 Just after we came back from Warsaw we have done DNA blood test. 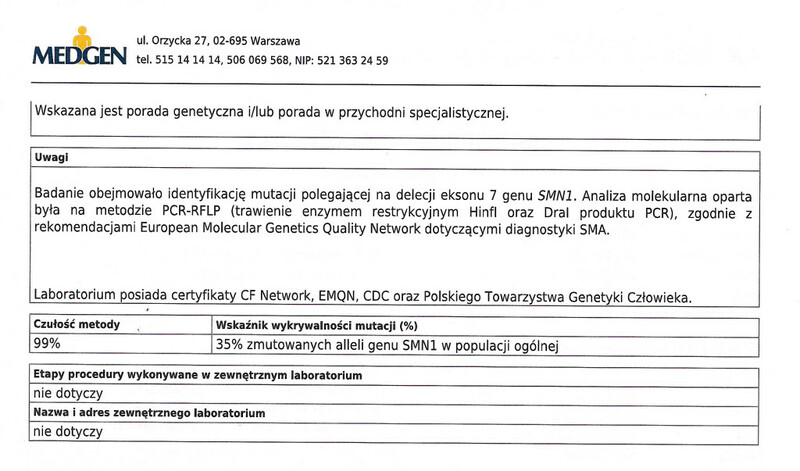 Because all doctors and physiotherapists in Wroclaw claimed it couldn’t be SMA according to Inga’s strength we’ve considered that DNA test as a exclusion of next suspected disease.